Salmon, Dehydrated Chicken & Whitefish Recipe Cat Food, 3.5 lbs. 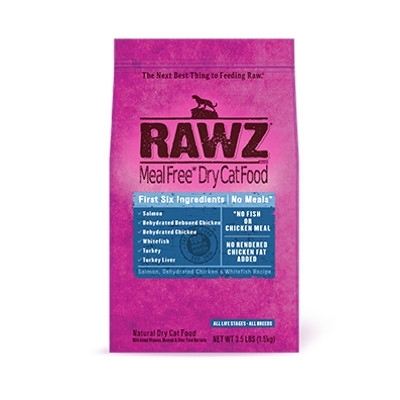 RAWZ Dry Cat Food is meal free for all life stages and breeds! 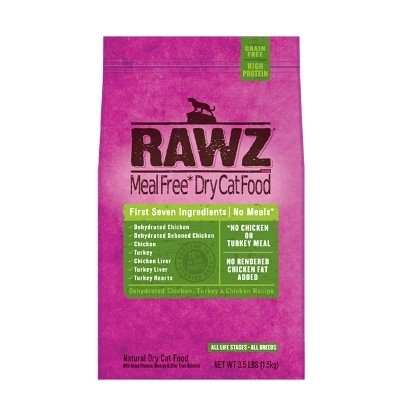 RAWZ Meal Free Dry Cat Food contains dehydrated chicken, dehydrated deboned chicken, real chicken and turkey, and nutrient-dense poultry organ meats as its first seven ingredients. 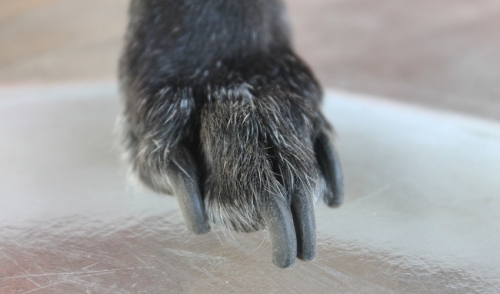 Their highest quality, never-rendered protein sources replicate a natural diet, and are easily digested by pets with or without food sensitivities.